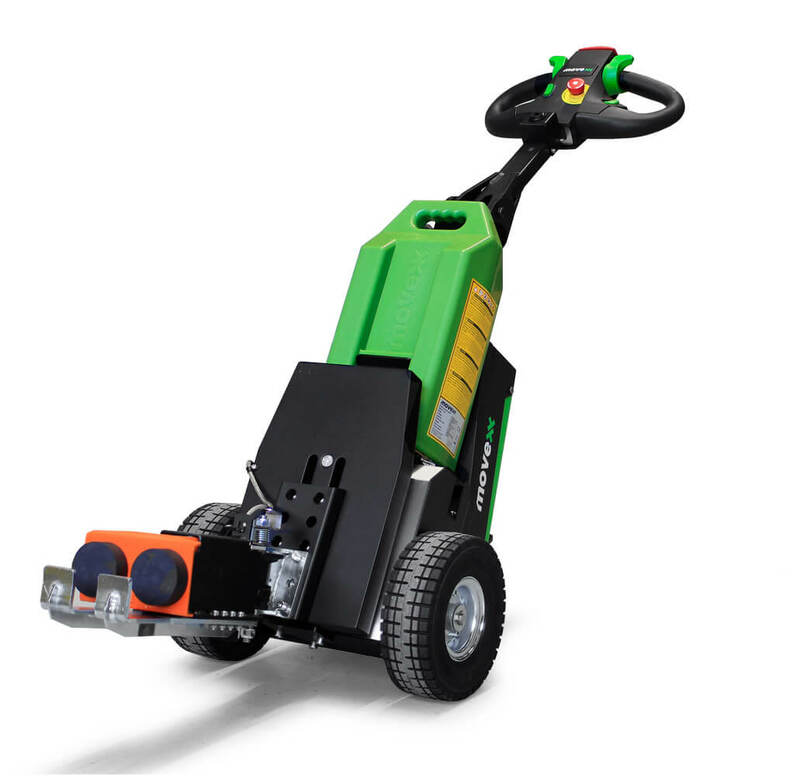 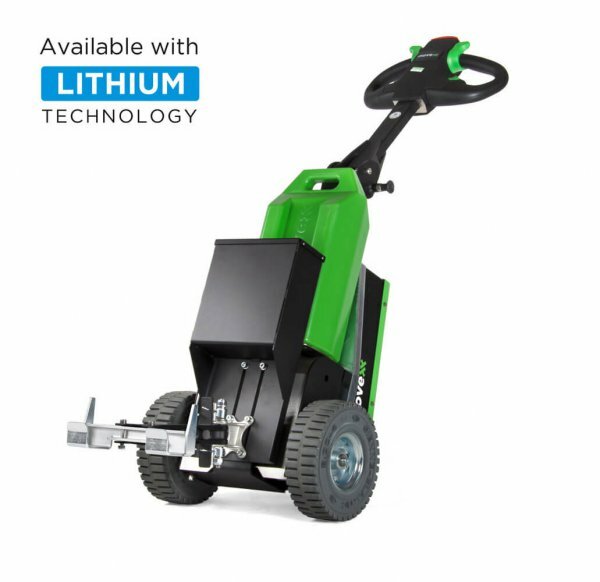 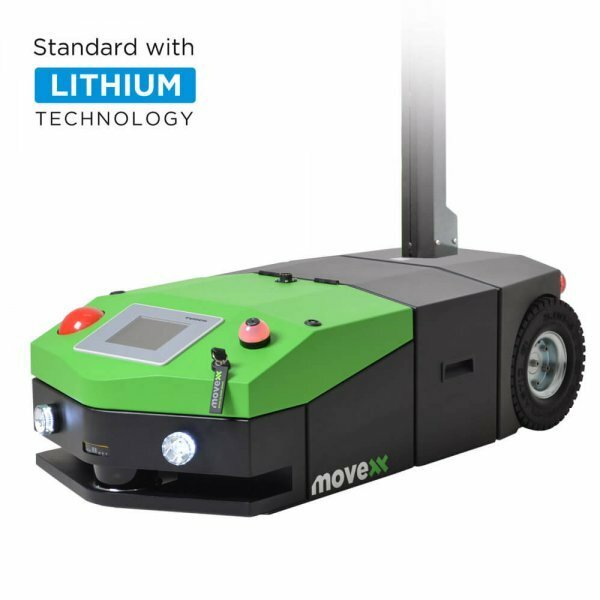 The T1500 is an electric tug that can easily move trolleys and carts with a total weight of 1500 kg. 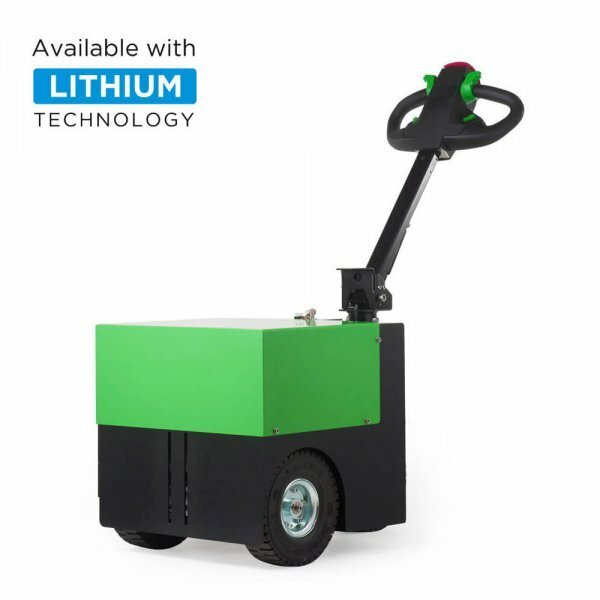 Because of the exchangeable hook system, the T1500 can move a large range of carts and trolleys, such as roll containers, industrial carts, and waste containers. 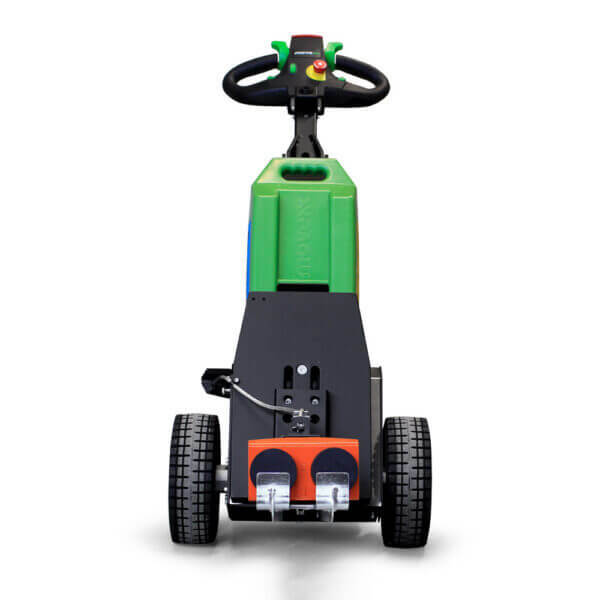 As long as the wheel configuration of the trolley consists of 2 fixed wheels and 2 steering wheels, or 2 fixed wheels and 4 steering wheels, the T1500 is capable to move these. 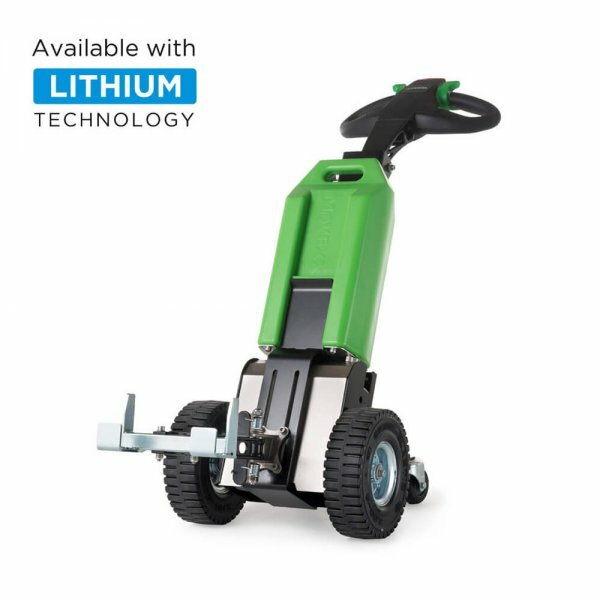 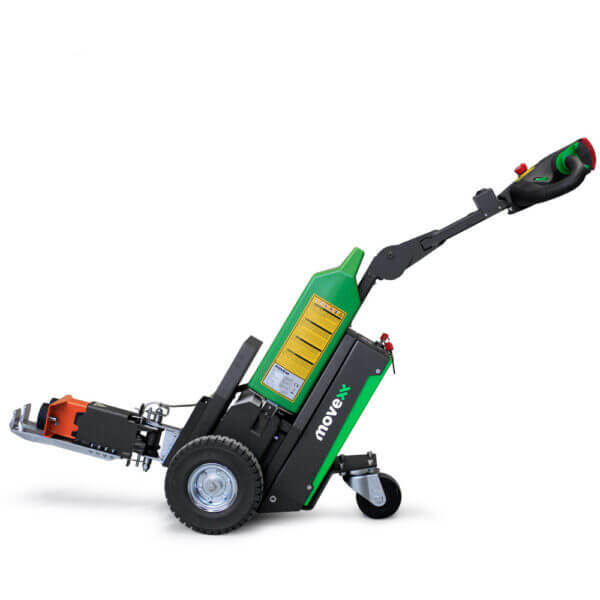 The T1500 is standard supplied with AGM technology, but can optionally be equipped with a lithium battery. 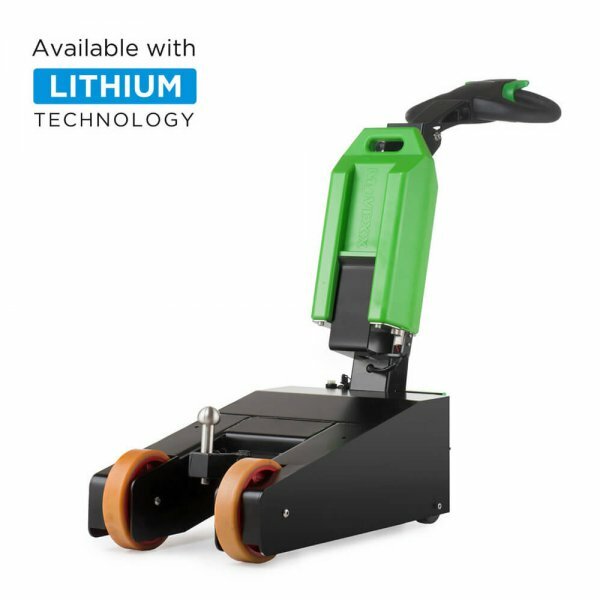 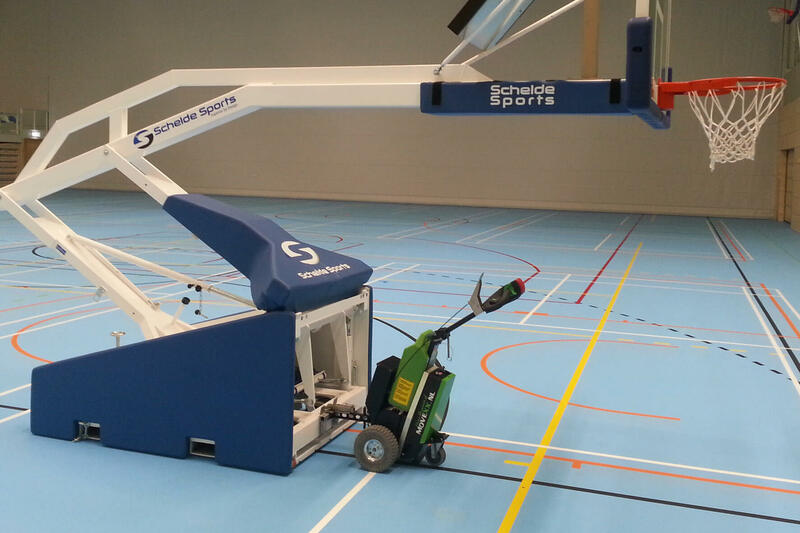 This machine also makes use of our unique exchangeable battery system, which enables you to quickly and simply change the empty battery for a full one. 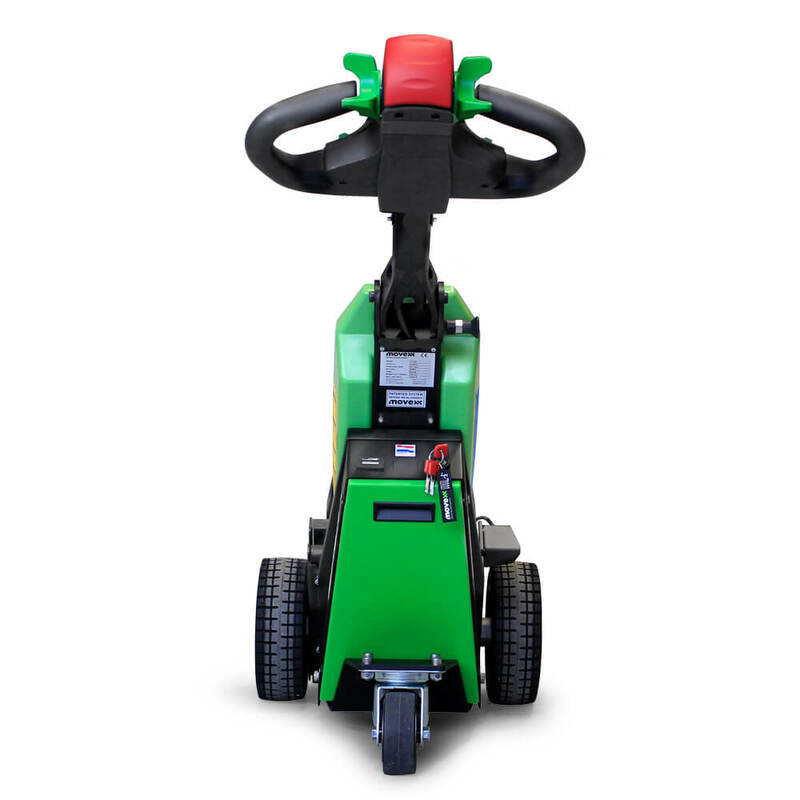 Your safety is increased by the ‘bellybutton’, which makes sure the machine automatically breaks and drives forward a bit when the bellybutton is pushed. 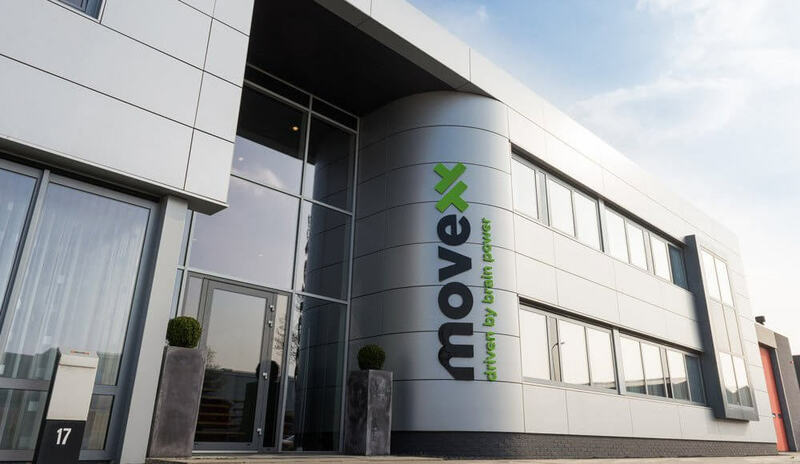 We also have a lighter variant available, the Movexx T1000. 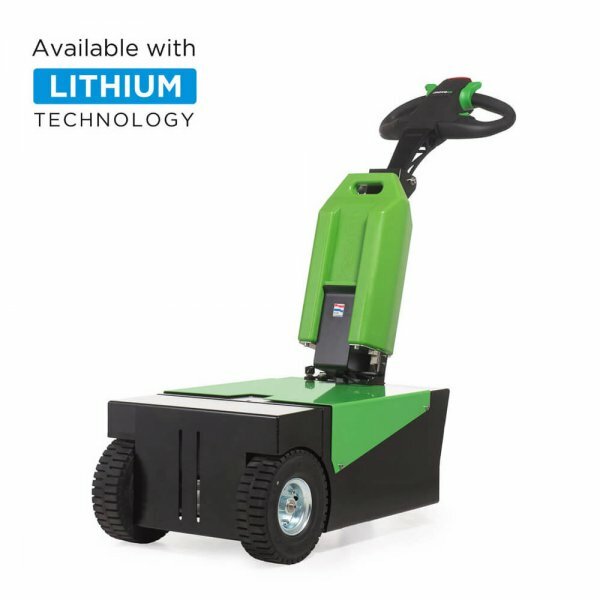 The T1500 can be supplied with both an AGM and a Lithium battery. The advantages of a lithium battery are that the battery can be charged in between, and lasts at least twice as long. 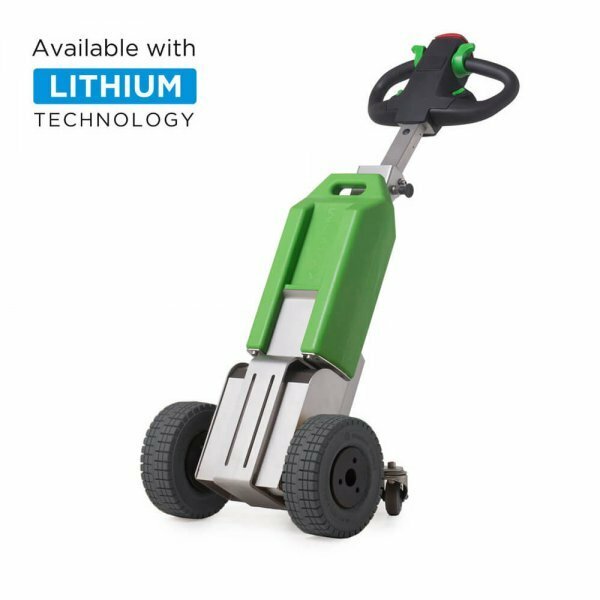 The lithium battery also has a Battery Management System, which protects the battery against complete discharging and overcharging. In this way, you can optimally use the productivity of your T1500. 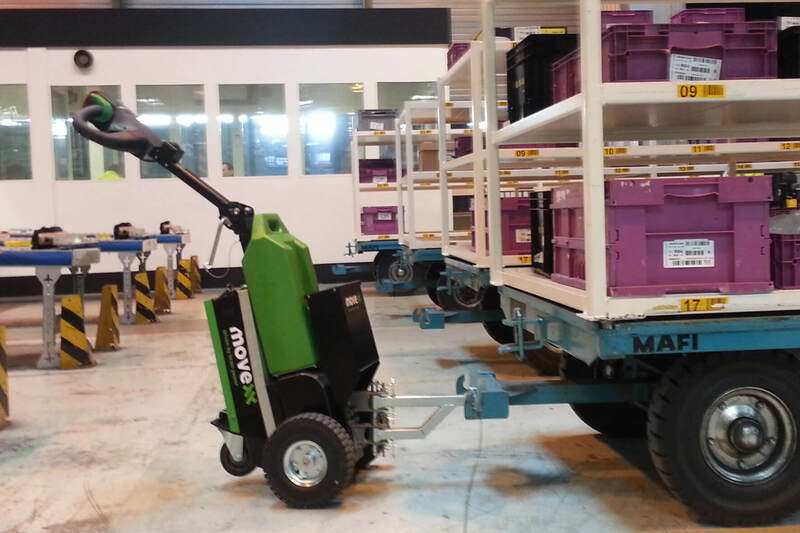 A wide range of trolleys and trolleys can be connected by an interchangeable hook system, including medical trolleys, work trolleys, medicine trolleys, distribution and transport trolleys and cleaning trolleys. 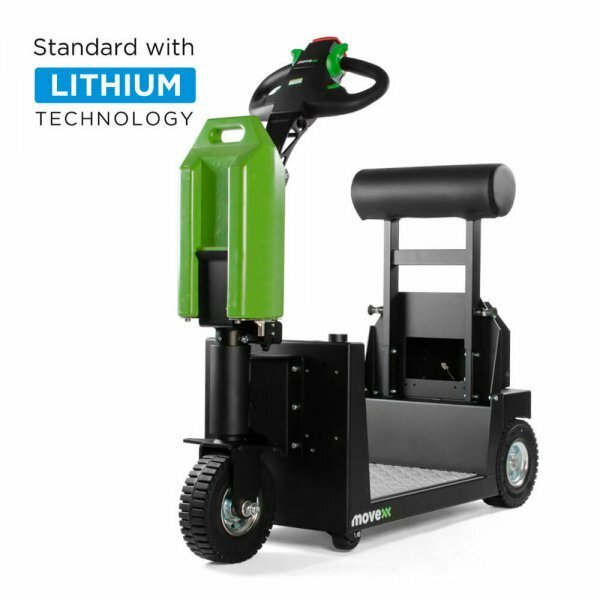 Because of a quick-change battery system, the battery can be exchanged simply and quickly, with minimum downtime for your T1500 for maximum productivity. 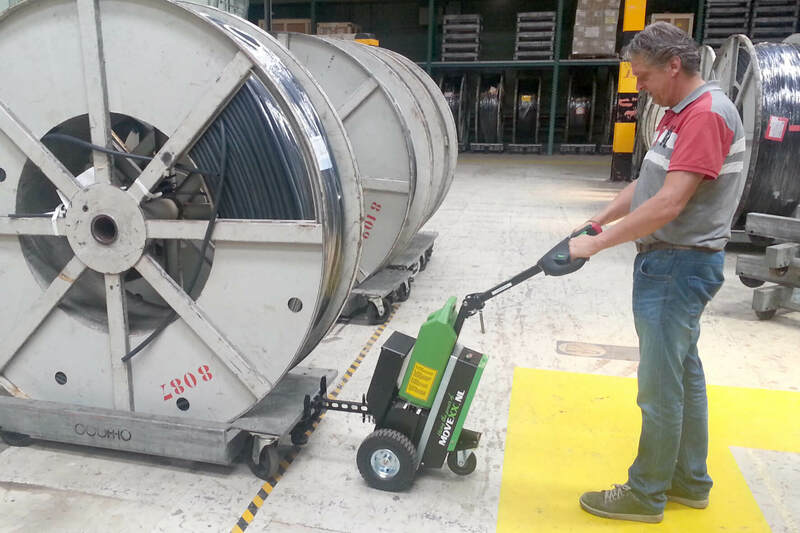 Here you can see photos of the T1000-BASIC in action, and for which applications the electric tug can be used.